Mustad 60403NP-TX TitanX Wacky Neko rigging hooks are the best drop shot / wacky rig hook Kevin VanDam has ever used. 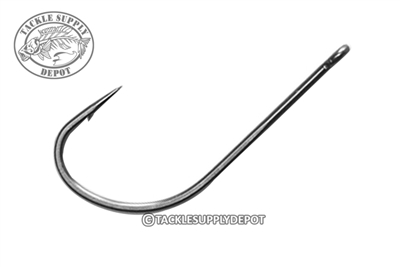 Long Shank, fine wire Ultra Point technology with a sproat bend creates excellent hook setting power and a wide gap keeps plastics from balling up and loosing fish. New TitanX finish penetrates 4 times better than standard finishes.